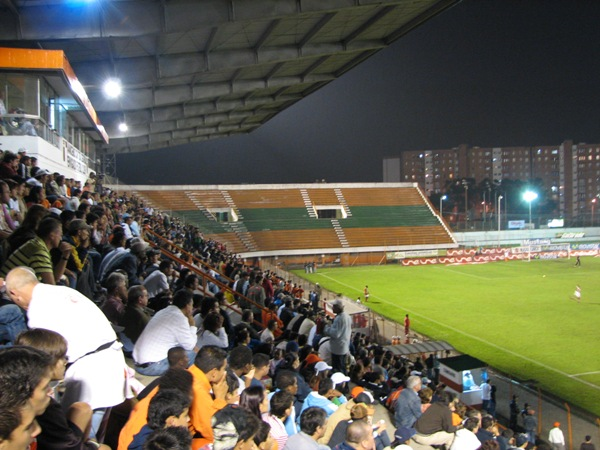 Match ends, Envigado 1, Atlético Huila 1. 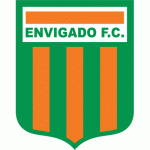 Second Half ends, Envigado 1, Atlético Huila 1. Michael Ordoñez (Atlético Huila) is shown the red card for violent conduct. Foul by Michael Ordoñez (Atlético Huila). Diego Barreto (Atlético Huila) is shown the yellow card for a bad foul. Foul by Diego Barreto (Atlético Huila). Attempt missed. Michael Nike Gómez (Envigado) right footed shot from a difficult angle on the right is just a bit too high. Assisted by Santiago Ruiz. Attempt blocked. Diego Barreto (Atlético Huila) left footed shot from outside the box is blocked. Goal! Envigado 1, Atlético Huila 1. Neyder Moreno (Envigado) converts the penalty with a right footed shot to the high centre of the goal. Penalty conceded by Jean Carlos Pestaña (Atlético Huila) after a foul in the penalty area. Penalty Envigado. Jairo Palomino draws a foul in the penalty area. Attempt blocked. Wilfrido de La Rosa (Envigado) right footed shot from outside the box is blocked. Attempt saved. Wilfrido de La Rosa (Envigado) right footed shot from outside the box is saved in the centre of the goal. Assisted by Yeison Guzmán. Corner, Envigado. Conceded by Luis Cardoza. Attempt missed. Diego Barreto (Atlético Huila) right footed shot from outside the box is high and wide to the left. Substitution, Atlético Huila. Jean Carlos Pestaña replaces Wilmar Jordan. Foul by George Saunders (Envigado). Diego Barreto (Atlético Huila) wins a free kick in the defensive half. Offside, Envigado. Francisco Báez tries a through ball, but Alexis Zapata is caught offside. Corner, Envigado. Conceded by Aldair Quintana. Attempt saved. Alexis Zapata (Envigado) left footed shot from outside the box is saved in the bottom right corner. Assisted by Yeison Guzmán. Corner, Atlético Huila. Conceded by Santiago Ruiz. Corner, Atlético Huila. Conceded by Michael Nike Gómez. Attempt missed. Wilmar Jordan (Atlético Huila) right footed shot from the centre of the box is high and wide to the right. Assisted by Diego Barreto. Substitution, Atlético Huila. Freyn Figueroa replaces Jorge Aguirre. Offside, Atlético Huila. Diego Barreto tries a through ball, but Wilmar Jordan is caught offside. Attempt missed. Michael Nike Gómez (Envigado) right footed shot from outside the box misses to the left. Attempt missed. Francisco Báez (Envigado) header from the centre of the box is close, but misses to the left. Assisted by Alexis Zapata with a cross following a set piece situation. Substitution, Envigado. George Saunders replaces Nicolás Giraldo. Neyder Moreno (Envigado) wins a free kick on the right wing. Substitution, Atlético Huila. Diego Barreto replaces Hernán Hechalar. Víctor Moreno (Atlético Huila) wins a free kick in the defensive half. Foul by Jairo Palomino (Envigado). Wilfrido de La Rosa (Envigado) wins a free kick on the right wing. Foul by Luis Cardoza (Atlético Huila). Attempt missed. Bayron Garcés (Atlético Huila) right footed shot from outside the box is too high. Assisted by Kevin Agudelo following a fast break. Attempt blocked. Nicolás Giraldo (Envigado) left footed shot from outside the box is blocked. Attempt blocked. Neyder Moreno (Envigado) right footed shot from outside the box is blocked. Foul by Diego Sánchez (Atlético Huila). Jorge Aguirre (Atlético Huila) is shown the yellow card for a bad foul. Foul by Jorge Aguirre (Atlético Huila). Wilmar Jordan (Atlético Huila) wins a free kick in the attacking half. Attempt missed. Nicolás Giraldo (Envigado) left footed shot from outside the box is high and wide to the left following a set piece situation. Nicolás Roa (Atlético Huila) is shown the yellow card for a bad foul. Nicolás Giraldo (Envigado) wins a free kick on the left wing. Foul by Nicolás Roa (Atlético Huila). Attempt missed. Yeison Guzmán (Envigado) right footed shot from outside the box misses to the left. Assisted by Alexis Zapata. Attempt missed. Michael Ordoñez (Atlético Huila) left footed shot from outside the box is high and wide to the left from a direct free kick. Hand ball by Michael Ordoñez (Atlético Huila). Attempt saved. Jairo Palomino (Envigado) header from the centre of the box is saved in the centre of the goal. Assisted by Alexis Zapata with a cross. Cristian Arrieta (Envigado) wins a free kick on the right wing. Attempt missed. Alexis Zapata (Envigado) left footed shot from outside the box misses to the left. Assisted by Michael Nike Gómez. Attempt saved. Alexis Zapata (Envigado) left footed shot from the right side of the box is saved in the bottom right corner. Assisted by Jairo Palomino. Nicolás Giraldo (Envigado) wins a free kick in the defensive half. Foul by Wilmar Jordan (Atlético Huila). Substitution, Envigado. Yeison Guzmán replaces Bruno Moreira. Substitution, Envigado. Michael Nike Gómez replaces Iván Rojas. Second Half begins Envigado 0, Atlético Huila 1. 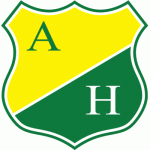 First Half ends, Envigado 0, Atlético Huila 1. Goal! Envigado 0, Atlético Huila 1. Michael Ordoñez (Atlético Huila) left footed shot from outside the box to the bottom left corner. Attempt saved. Nicolás Giraldo (Envigado) right footed shot from outside the box is saved in the top centre of the goal. Assisted by Jefferson Martínez. Attempt missed. Kevin Agudelo (Atlético Huila) left footed shot from outside the box is high and wide to the left. Assisted by Jorge Aguirre. Bruno Moreira (Envigado) wins a free kick on the right wing. Attempt missed. Hernán Hechalar (Atlético Huila) left footed shot from outside the box is high and wide to the left. Assisted by Wilmar Jordan. Attempt blocked. Jorge Aguirre (Atlético Huila) right footed shot from the right side of the box is blocked. Assisted by Hernán Hechalar with a cross. Nicolás Roa (Atlético Huila) wins a free kick on the right wing. Attempt missed. Michael Ordoñez (Atlético Huila) left footed shot from more than 35 yards is high and wide to the left. Assisted by Kevin Agudelo. Corner, Envigado. Conceded by Diego Sánchez. Foul by Bruno Moreira (Envigado). Offside, Envigado. Alexis Zapata tries a through ball, but Wilfrido de La Rosa is caught offside. Attempt missed. Hernán Hechalar (Atlético Huila) left footed shot from outside the box misses to the right. Assisted by Luis Cardoza. Foul by Wilfrido de La Rosa (Envigado). Attempt blocked. Jorge Aguirre (Atlético Huila) right footed shot from outside the box is blocked. Attempt blocked. Wilmar Jordan (Atlético Huila) right footed shot from outside the box is blocked. Corner, Atlético Huila. Conceded by Francisco Báez. Attempt blocked. Wilmar Jordan (Atlético Huila) right footed shot from the centre of the box is blocked. Assisted by Kevin Agudelo. Corner, Envigado. Conceded by Michael Ordoñez. Wilmar Jordan (Atlético Huila) is shown the yellow card for a bad foul. Attempt missed. Bruno Moreira (Envigado) right footed shot from outside the box is too high. Attempt saved. Wilmar Jordan (Atlético Huila) left footed shot from a difficult angle on the left is saved in the bottom left corner. Assisted by Kevin Agudelo. Attempt missed. Bayron Garcés (Atlético Huila) right footed shot from outside the box misses to the left. Assisted by Michael Ordoñez. Wilfrido de La Rosa (Envigado) wins a free kick in the defensive half.